If you are thinking to start your own business in Bangalore with low investments then, Chaat Ka Chaska street food franchise business in Bangalore is the best opportunity for you. Food business in India has been booming in recent time and one of the best businesses that require low investment and ensure constant source of income. If you want to setup your own business with low investment in Bangalore to make money with sufficient margins then, Chaat Ka Chaska street food franchising in Bangalore is the best option for you. We are offering excellent food franchise opportunity in Bangalore providing full franchise support, extensive training programs, supply of equipment, staff training, pre-opening support, etc. So, grab Chaat Ka Chaska franchise opportunity in Bangalore today. Why Chaat Ka Chaska Franchise In Bangalore? Bangalore is the capital of Karnataka state of India known as “The Garden City”. It is the second fastest growing metropolis of India and also the fourth highest GDP contributor after cities like Mumbai, Delhi and Chennai. Bangalore is popularly known as the ‘Silicon Valley’ of India for being a major IT hub of the nation. It is home to leading computer, IT and technological organizations. ISRO, Infosys, Wipro and HAL are noteworthy technological organizations of India who have their headquarters in the city of Bengaluru. Due to this the city is a home to many professionals and students and this is the reason, why starting a food franchise business in Bangalore is a profitable venture. Bangalore has many favorable places where street food café or restaurants can be established. Also there are many educational institutions like schools, colleges and university along with industries and companies in the city of Bangalore. You can open your food store at and around these campuses. The city is home to many young professionals and students and they can be your potential customers as they have huge contribution on the demand of hangout places, trendy restaurants or food cafes. So, opening your Chaat Ka Chaska street food franchise in Bangalore will be a wise decision for all that want to start a new business for constant source of income. Chaat Ka Chaska is providing great opportunity in food business and street food store in Bangalore. 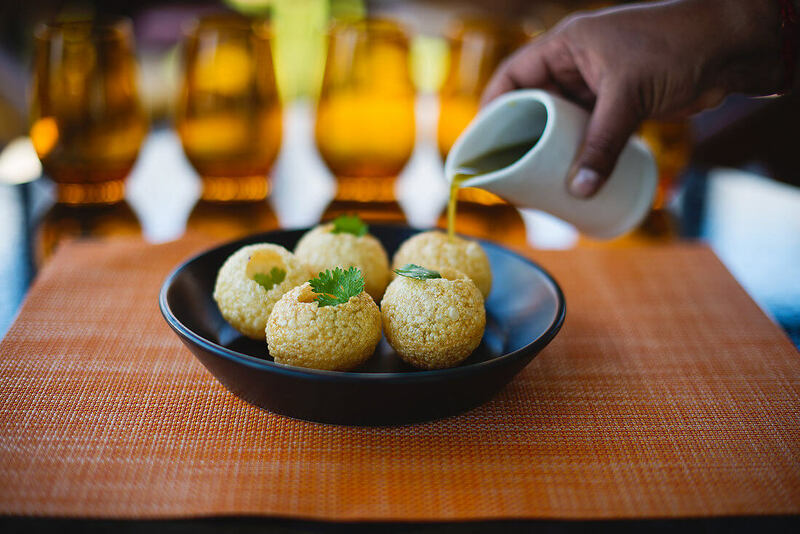 We serve delicious street foods like Tikki Chaat, Bhelpuri, Panipuri, Chaat, Sevpuri and much more. We serve these lip-smacking dishes in hawker style but are prepared through finest quality ingredients. So, Chaat Ka Chaska is a very safe business for you. Being associated with Chaat Ka Chaska you can become your own boss and get your own food café in Bangalore. We offer excellent franchise support with solid business plan to get high-growth and high-profit in the business. With a concrete business plan a good team support Brewbakes would help you in achieving a good profit goal.